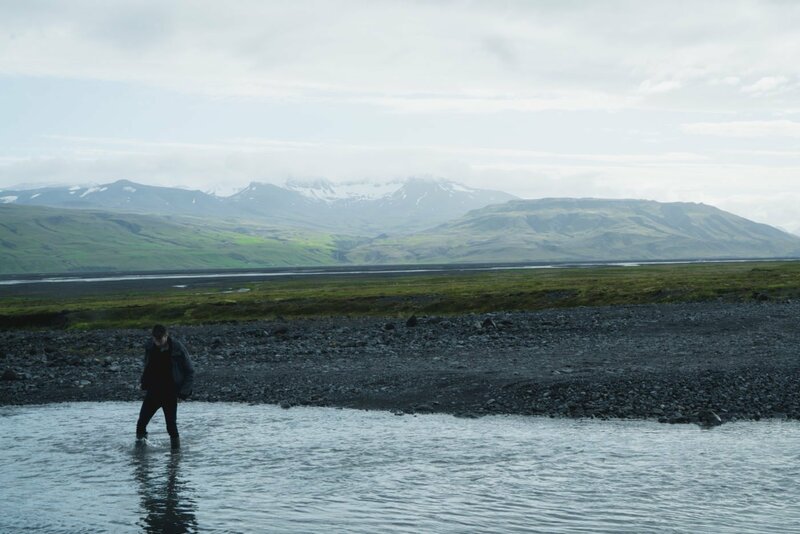 Read part 1 of ‘10 hidden gems in Iceland’ here. On road 60 connecting Snæfellsnes and the Westfjords, you’ll have to turn east on Sælingsdalsvegur to find Gudrunarlaug. Although there is a hotel and camping site nearby, you’ll have no problem of being all by yourself in the hot pot. After all, not many visit the region between Snæfellsnes and the Westfjords; most people are just passing through. 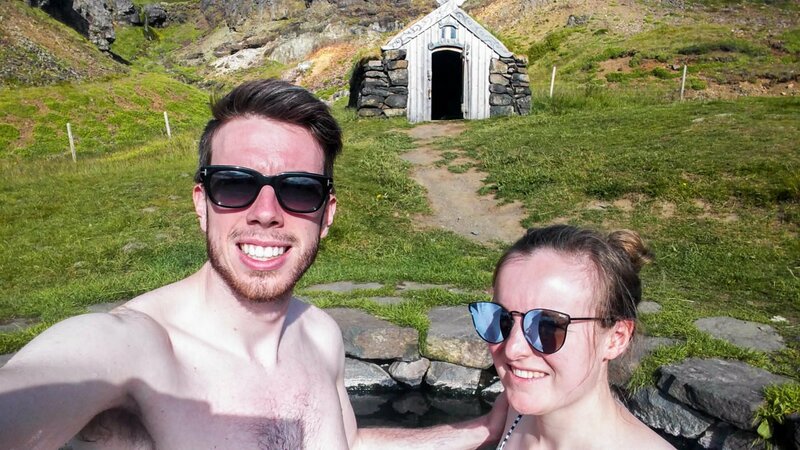 There’s a hobbit-like changing hut right next to the pool and the water is a pleasant 40°C. F570 is a mountain road in the western part of Snaefellsnes and connects Arnarstapi with Olafsvik. 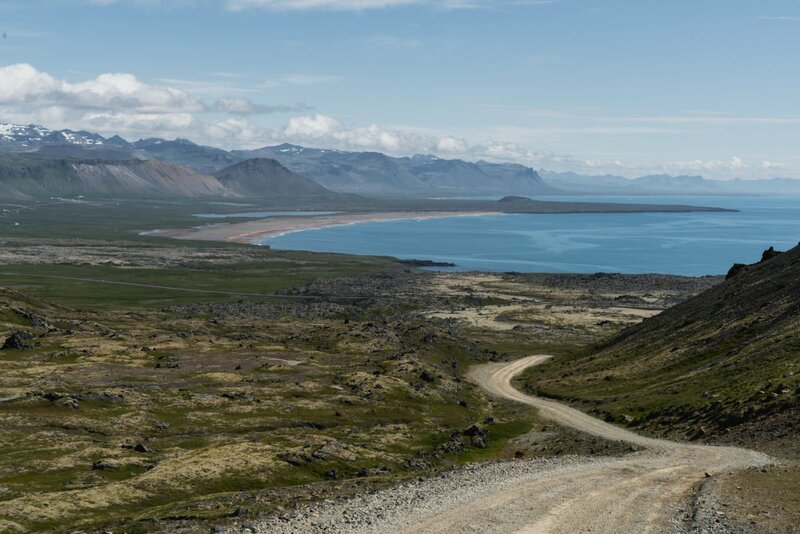 Once you reach the highest point of the road, you have a magnificent view over the entire Snaefellsnes peninsula. 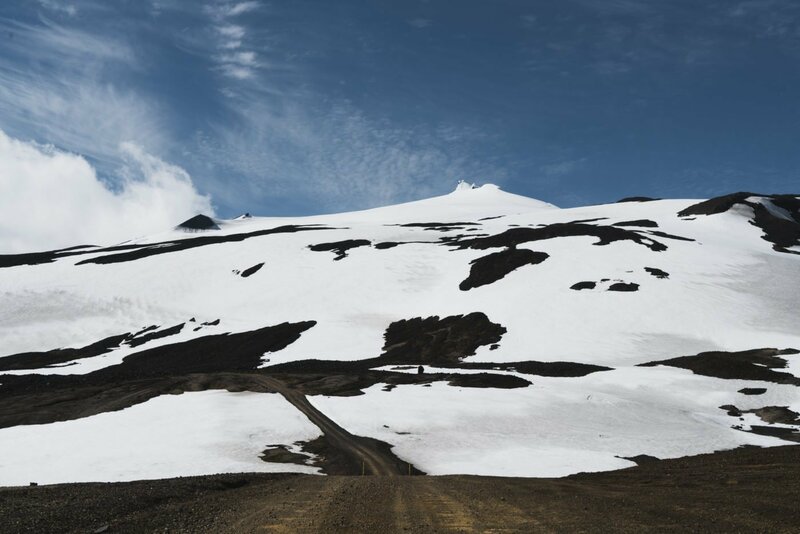 From there, you can start your hike on the snow towards the top of Snæfellsjökull. Apparently for some odd reason it is now called road 570 so technically it is no longer an F-road. 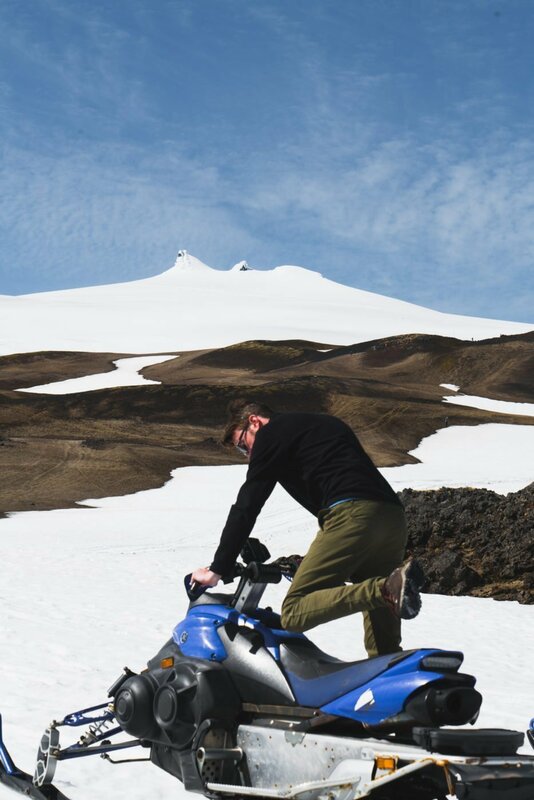 That explains why we saw a Toyota Yaris pull up into the parking area near the top of the Snæfellsjökull glacier. That doesn’t mean you should try this yourself! Use common sense and do not attempt to drive it in a normal car! I wonder if the Yaris ever made it back along the steep rocky roads without damage. F570 has everything a mountain road needs to have, except for a river crossing. But that can actually be a good thing if you’re not comfortable doing that. Another F-road in our top-10 hidden gems in Iceland! You probably all know by now that a little bit north of Seljalandsfoss, you’ll find Gljufrabui, a hidden waterfall inside a narrow canyon. But if you continue down that road, you’re on your way towards Thörsmörk. This road is called F249 and and there is absolutely so much to see on your way there that you can spend a whole day on this road. A couple of miles into this road, you’ll have a great view of the Dimon-landmark. 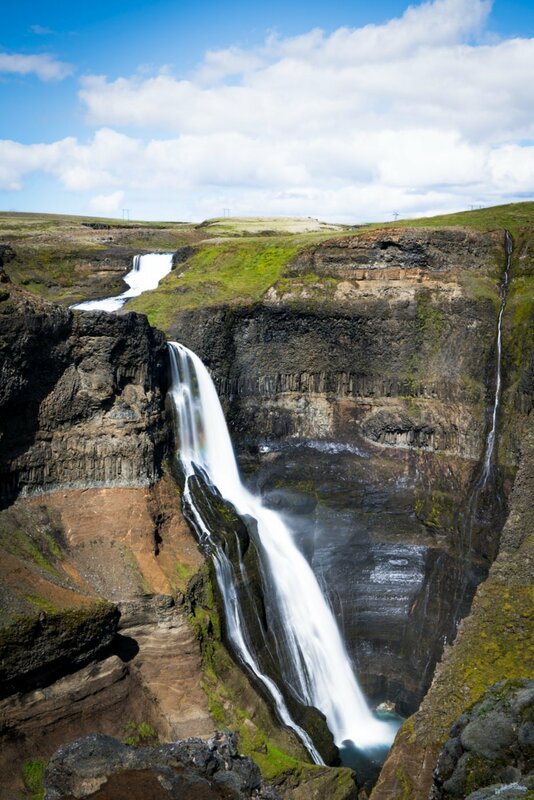 Then you can visit the Nauthusagil waterfall, which is a copy of Gljufrabui, minus the crowd! From there a difficult section of the road starts with lots of river crossings. You are not allowed to cross the big Krossa river by car so if you want to head to Thörsmörk, you have to park your car at the Krossa car park and wait for the bus, or take the foot bridge and hike. If you don’t want to do that, no worries! There’s enough to do on this side of the river: Stakkholtsgja canyon, Hvannargil and Godaland to name a few. Who needs Thörsmörk anyway! 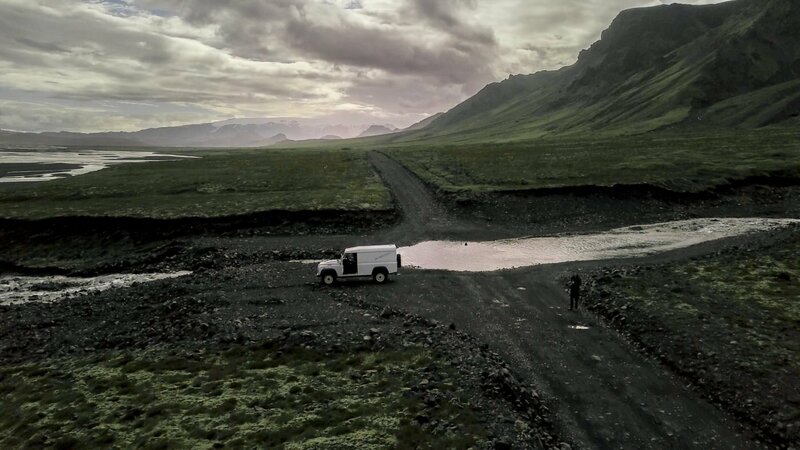 Keep in mind that this road is probably the world’s longest dead-end road so each river you cross on the way towards Basar hut or Thörsmörk, you have to cross a second time on your way out. And heck, there are a lot of river crossings on F249! 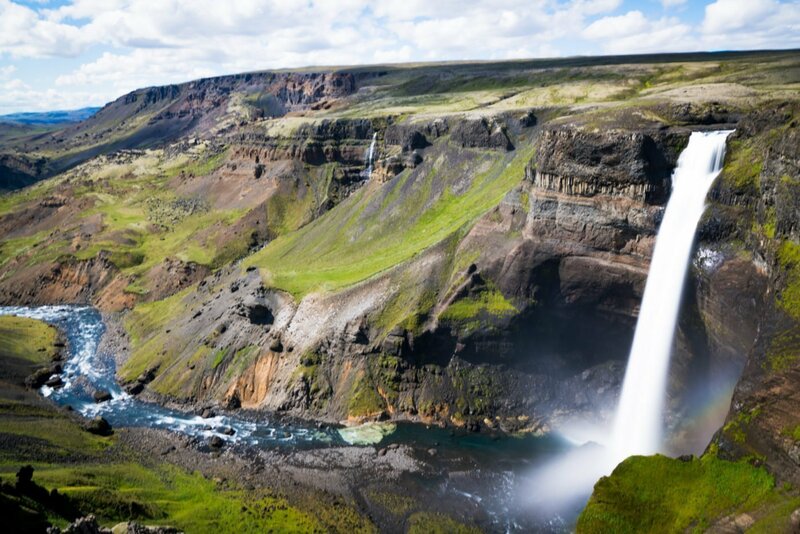 A solid silver medal goest to the number 2 in our top-10 hidden gems: Haifoss. On road 32 heading towards the interiors of Iceland, turn left on road 332. It is technically not an F-road but you’ll not be able to drive fast if you don’t have a 4WD. Haifoss is the second highest waterfall in Iceland but it is definitely the most jaw-dropping one. If you walk to the edge of the cliff, you’ll see a huge valley that is absolutely magnificent and you’ll notice that there is another giant waterfall nearby called Granni! That one is a little bit more enclosed in the rocks, which gave it a magical feel. I was hoping to find Gollum at the foot of the waterfall. I didn’t. 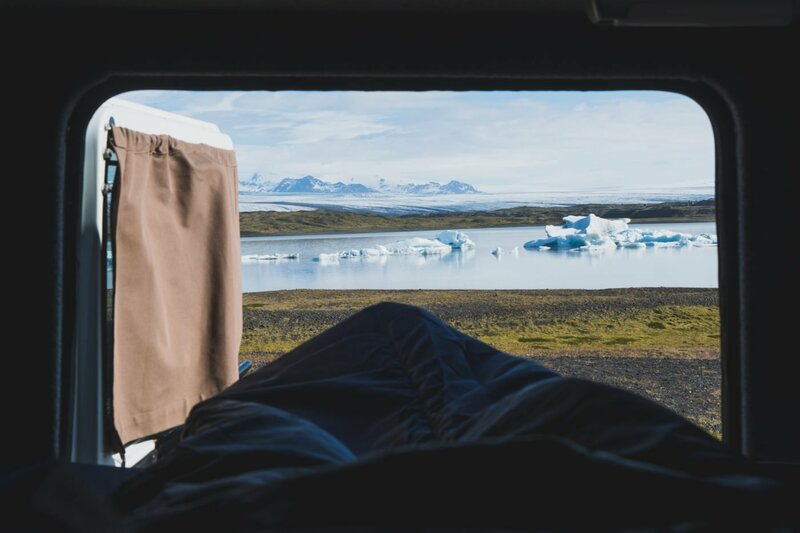 The award for the best hidden gem in Iceland goes to Fjallsarlon! Jökulsarlon glacier lagoon is in every guide to Iceland and you really need to see it for yourself. But did you know Jökulsarlon has a lesser-known neighbor called Fjallsarlon? Fjallsarlon is much smaller than its bigger brother and with a little bit of effort you can get very close to the glacier tongue. What other hidden gems do you know that didn’t make it into this list? Let us know!